At Flagship Marine our experience extends beyond those products you have always associated us with. In addition to our Evinrude / Johnson Option 3 and Option 4, we also offer our Rebuilding service to those dealers who handle Mercury, Yamaha and Suzuki Outboard products. Flagships vast Inboard Engine Rebuild experience, enables us to quickly adapt to servicing the up and coming 4 cycle outboards. Not only do we have the experience to rebuild the Block and Crankshaft assembly but, our experience in hi-performance 4 cycle cylinder head servicing makes it a snap to perform the necessary tasks that are needed to service those products. Prices include all parts and labor for the disassembly, cleaning, machining and reassembly. All Powerheads will be remanufactured using new gaskets, pistons, o-rings and seals. 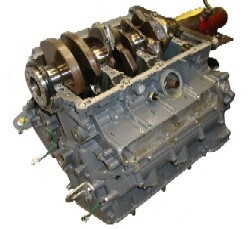 All blocks must be borable and have a usable crankshaft and rods. Call today for a quote. Any additional work such as, cylinder sleeving, block decking or cylinder head repair, etc. will be done at an additional cost. If there are additional charges incurred you will be notified prior to the repair.